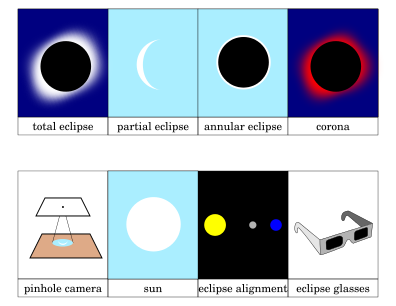 A solar eclipse happens when the moon goes between the sun and the earth. This always happens during daylight. Here is a printout for a solar eclipse.